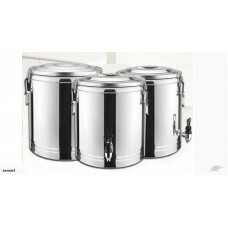 100L STAINLESS STEEL STOCK POT SAUCE With Lock comes complete with lid and is ready to be used. 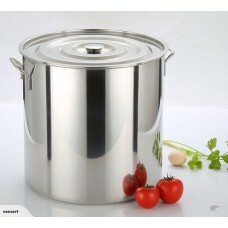 Good..
30L STAINLESS STEEL STOCK POT SAUCE With Lock complete with lid and is ready to be used. 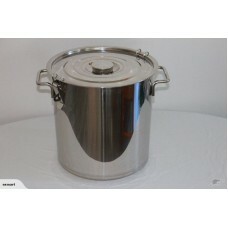 Good qualit..
50L STAINLESS STEEL STOCK POT SAUCE With Lock complete with lid and is ready to be used. Good qualit.. Brand new 30L stainless steel stock pot. Item comes complete with lid and is ready to be used. Good .. Brand new 50L stainless steel stock pot. Item comes complete with lid and is ready to be used. Good .. Brand new 70L stainless steel stock pot. Item comes complete with lid and is ready to be used. Good .. Stainless Steel Thermos Pot with Lid and tapPlease note the pot size stated refers to the outside di..